We welcome back Flea--a pediatrician in the northeast—who offers the first installment on his vivid experience being sued for malpractice. 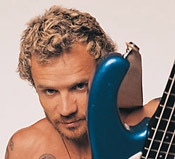 You can check out Flea's blog, here. It occurs to me that many of you have never seen a Plaintiff's Complaint. This document alerts the physician that he is being sued for malpractice. What follows are excerpts from a complaint that I received at 8:45 one morning in September 2002, 2 months after opening my new practice. ...5 On or about X-date, the decedent's mother submitted herself to the care and treatment of the defendant, Dr. Flea, who negligently and carelessly and without regard for the health and well-being of the plaintiff's decedent and his mother, treated the plaintiff's decedent and his mother in a manner which resulted in XY's death on XY-date. d. his failure to possess and exercise that degree of skill, training and care as is possessed and exercised by the average qualified members of the medical profession practicing his specialty. e. his failure to inform and to warn of the risks involved in or associated with the plaintiff's decedent's condition and that of his mother and failure to inform and to warn about the treatment of said condition. 7. As a direct and proximate result of the defendant, Dr. Flea's negligence, carelessness, and unskillfulness, XY suffered from a premature and preventable death." When I was done reading, I was quite sure I was being indicted for manslaughter. I called my lawyer immediately and asked him what this meant. "It means you're being sued for malpractice,” he replied matter-of-factly, "you should call your malpractice carrier and tell them." "I have a patient waiting!" It was past 9 by now. After we hung up, I closed the complaint in my top desk drawer, got up, and went in to see the first patient of the day. I am certain that curiosity will be aroused as to the particulars of this case. For the moment, I hope it will suffice to say that I am neither careless, nor unskillful, nor negligent. In order to prove a "failure to diagnose" case in pediatrics, the plaintiff's attorney will need to convince a jury that the flea is an idiot. which states, among other things, that his blog is now defunct.